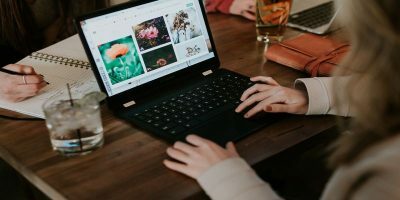 Now that Windows XP is officially unsupported by Microsoft, the need is greater than ever for PC operating systems that can be used on older hardware but without a complex user interface that requires a steep learning curve. Zorin OS is one possible alternative as it uses a theme that should be familiar to Windows XP users. 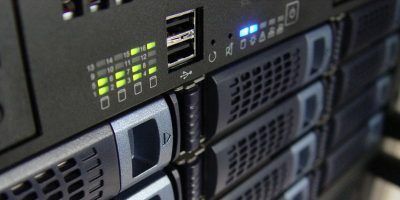 Another XP alternative is Handy Linux. Rather than attempting to mimic XP, Handy Linux offers a very simple user interface which does away with the Start menu and replaces it with a simple window which groups together key applications by type. 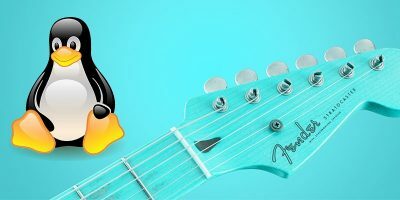 Download Handy Linux, burn the .ISO image onto a CD and boot your PC from the CD. The boot menu offers you two choices. 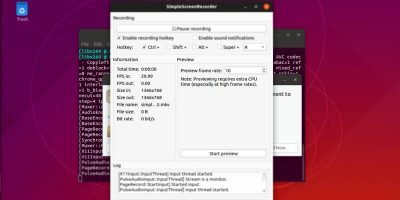 You can either test Handy Linux from the Live CD or opt to install the OS on your PC. 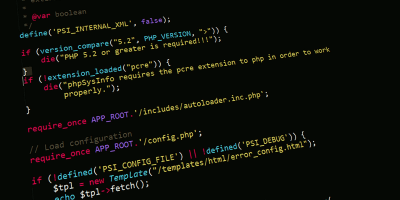 The installation process is fairly easy, especially if you are familiar with installing Linux. Before the installation begins, you will be asked to pick your language along with your location and desired keyboard layout. You then need to enter a hostname (you can keep the default of debian if you want), followed by your full name, username and password (so that the default account can be created). Finally after this is the hard disk partitioning. The easiest option is to just use “Guided – use entire disk” but beware, if you already have an OS and data on the PC, they will be lost. After you confirm the partitioning, the installation will begin. Once the installation has completed, the PC will reboot. You will be welcomed by the login screen where you need to enter the username and password you set during the installation. Handy Linux uses Xfce for the desktop and the general arrangement should be familiar to most PC users. At the bottom is the task bar with a clock and tray items on the right and the Handy Menu button on the left. Clicking the menu button brings up a large menu window in the middle of the screen. The menu is designed for the absolute beginner. The various applications are grouped according to their type: Internet, Files, Multimedia, Office, Games and Raiders. The last group is for more advanced users and allows you to change various settings, configure a printer and so on. Inside each group the applications are described as tasks rather than by name. So instead of Chrome (or Chromium), the menu lists “Surf the Internet”. Instead of Thunderbird, you have “Read and Write Emails”, and so on. 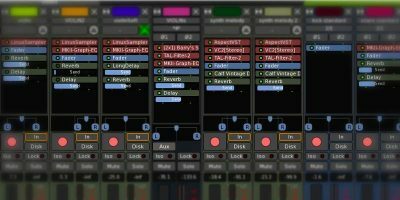 This arrangement is perfect for computer novices and it removes the need to mentally link applications to their tasks. 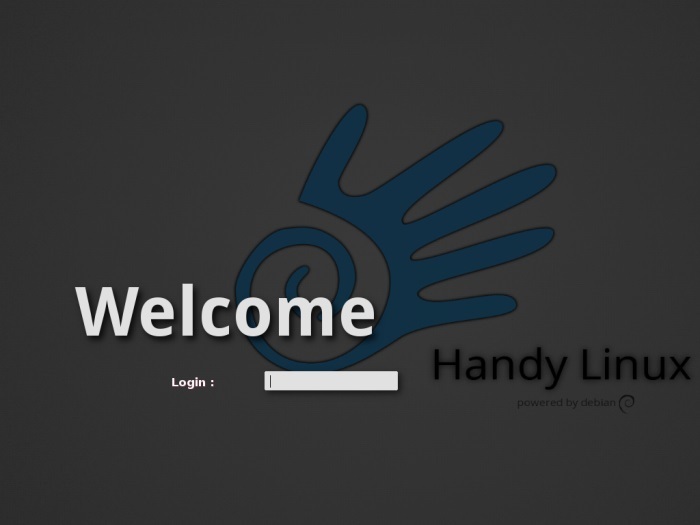 Handy Linux offers the right tool for the right job. Handy Linux comes with many other useful pre-installed apps including Skype, VLC, and LibreOffice. The “Raiders” tab gives you access to the “Software Center” so that you can install other applications from Debian’s repositories and there is also the “Application List” program which allows you to access all the programs installed on the system. You can also add a program launcher to the task bar by right-clicking on the bar and using “Add New Items…” in the Panel menu. This actually means that Handy Linux can be tweaked for use by more advanced users. 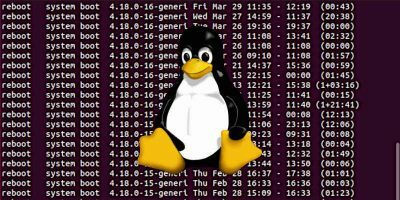 Handy Linux is a great tool for beginners but it isn’t without its problems. The distribution is primarily developed in French, and the English translation is added afterwards. This is fine except when the English translation is missing! If you click on “preferences,” the options dialog box is all in French. Also, if you go to Files and click “My Music,” the file manager attempts to open the “Musique” folder and not the “Music” folder. However, these issues are relatively small and the developer has released an update which is available via the update manager. If you don’t get an update notification in the tray (near the clock) then you can run the update manager manually via the Application Finder (under the Raiders tab). 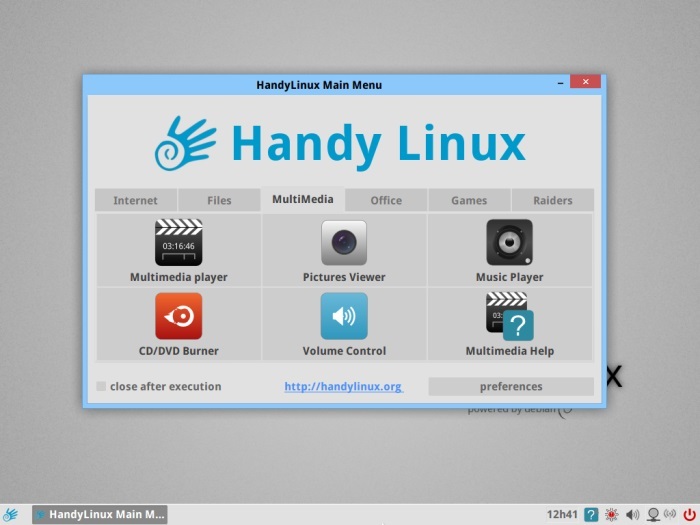 If you know a novice user who is looking for a new OS, then Handy Linux could be the answer. Give it a try, and if you have any questions, please feel free to ask in the comments and we will see if we can help. the next release is coming in ~10 days (with Debian 7.5) and so the ISO images will be clean. hello Gary, thanks for your appreciated post at HandyLinux Team. we thank you for giving us an objective POV on what is good and what is not, it helps us upgrading. 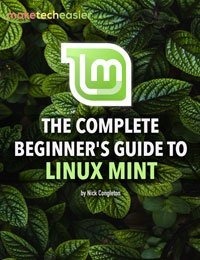 Just to let you know, I am using my “Handy” Linux DVD right now to view this article. 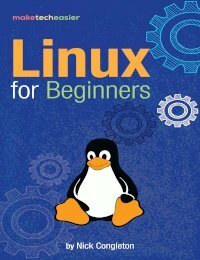 I became interested in Handy Linux back when I first saw it in French. I wrote to the author and asked about an English language version, and here it is. I like it, and in fact I’m going to give this disc to my brother in law to use on his broken XP computer. someone erased the WiFi driver, so this will be his way back onto the internet! feel free to contact us on english forum to have help in case of need. I have recently installed Xubuntu for an elderly lady(83.years old..! 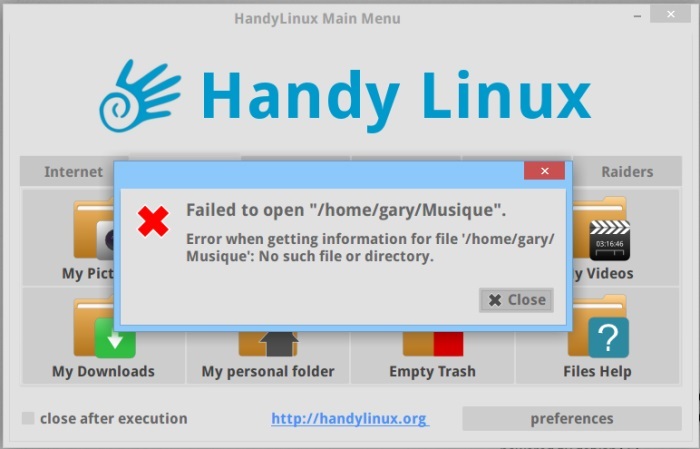 )but I will try out the live cd of HandyLinux as I’m beginning to realise that Xubuntu 14.04 might be too difficult to start with…she’s French so won’t be having any worries there. 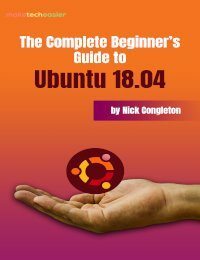 I recently installed & upgraded to Xubuntu 14.04 for an elderly lady who is 83 years old which has no experience of internet whatsoever..
Am realizing that Xubuntu is too hard for her,so will try out the live cd and may install it ..true that the main ojective for her is just Mail,Surf and a VoIP…. I really dislike the fact that Skype and Facebook is there by default! I will check if that can be removed and replaced by Jitsi. 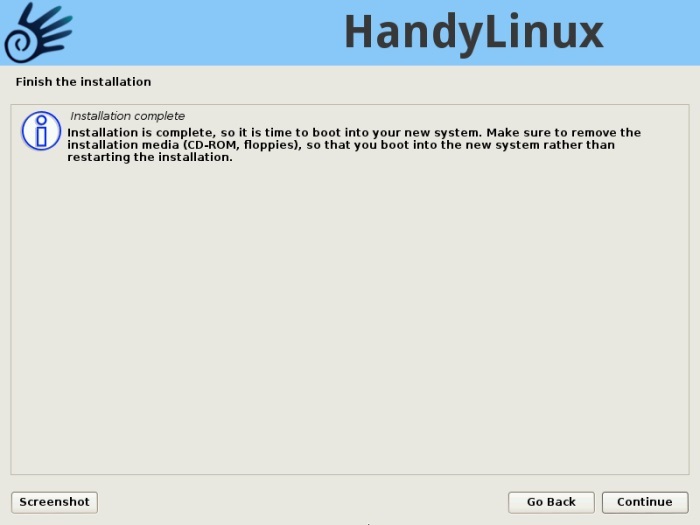 Debian security updates : HandyLinux includes “proposed-updates” in its building process, so it includes all update for Debian-7.5. All regular updates are handled by your “update-manager”, so ne need to download this release. If you want to install “cheese” to manage your webcam, it is in your Software-Center (HandyMenu > Raiders > Software Center) and to install opendyslexic font or the whiskermenu, simply get it from handylinux stock_files. 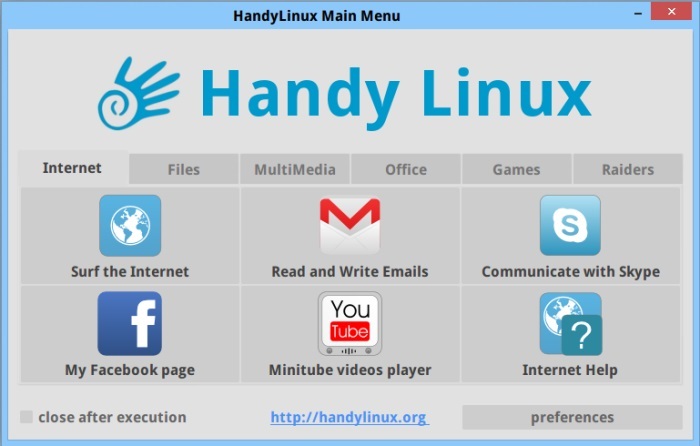 Handylinux 1.7.1 is available !